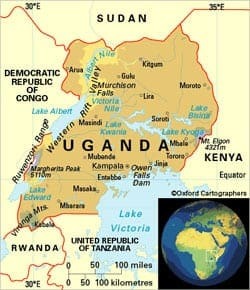 A young Ugandan woman who fled her home country after being persecuted, beaten and raped because she is a lesbian will be deported from the United Kingdom this Saturday, May 24, according to Gay Star News. 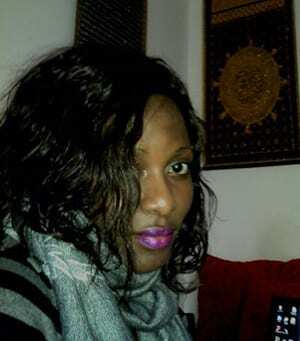 Aidah Asaba, 27, came to the UK last October seeking asylum after life in Uganda became untenable. If deported, Aidah fears she will be killed. ‘That’s when the problems started. My family rejected me, calling me weak and evil. My father locked me in my room almost 10 hours and beat me with a stick and with his fists. Then he kicked me out of the house. Aidah did marry and her husband eventually found out about her sexual identity. He raped and beat her on a repeated basis. She eventually gave birth to a daughter, now four, whom she had to leave in Uganda when she fled for the UK. Community leaders sent me a letter and demanded I come to a meeting to discuss my sexuality. They said I was recruiting young girls to be lesbians. I have been to meetings like that before. I have attended some meetings where they just started beating people. There is no control. Earlier this year, Uganda passed a bill that criminalized homosexuality, punishing victims with up to life in prison. A report has since shown that anti-gay violence has been on the rise since the law was passed. Local officials have also wasted no time enforcing the law with many individuals already face charges in court. Ugandan newspapers have even published the names of individuals suspected of being homosexuals, Aidah among them. It harmed her case with the UK Home Office that she didn’t go out to gay bars in Britain as they didn’t believe she was lesbian. But she told GSN she was traumatized from what had happened to her and from leaving behind her daughter so stayed in the house rather than partying. In January she applied for asylum but just six days later she was arrested and put in to an asylum detention center near London's Heathrow Airport. You’ll recall we previously reported on accounts that surfaced of other LGBT asylum seekers in the UK facing ‘extraordinary obstacles’ in proving to the UK Home Office that they were in fact gay. Though Keith Vaz, Labour MP and chairman of the Home Affairs Committee, previously remarked that "It is absurd for a judge or a caseworker to have to ask an individual to prove that they are lesbian or gay, to ask them what kind of films they watch, what kind of material they read” and that "People should accept the statement of sexuality by those who seek asylum,” it seems that Aidah’s statement of her sexuality has not been accepted by officials handling her case. You can sign a petition calling on the Home Office to cancel Aidah’s deportation HERE.